Honolulu is the capital, largest and the most famous and popular city of United States of Hawaii. Hawaii is the center of tourist destination and Honolulu is the main gateway to Hawaii. Honolulu is both the westernmost and the southernmost major American city. Kirk Caldwell is the Mayor of Honolulu. Honolulu is the main financial center of the islands and of the Pacific Ocean. Honolulu means “sheltered harbor” or “calm port.” The population of Honolulu census county division (CCD) was 374,658 in 2010. The total area of Honolulu Country is 177.2 km2 in which 156.7 km2 of it (88.44%) is land and 20.5 km2 of it (11.56%) is water. As of 2007, 7.6 million visitors annually to the islands. Honolulu is a modern city with many largest buildings, and Waikiki is the main part of the tourism industry. The Temperature of Honolulu is mostly dry in summer season, due to a rain shadow effect. The average high temperatures is 27–32 °C and average low temperatures is 18–24 °C throughout the year. Honolulu have many beautiful places which is the cause of Tourist attractions. Ala Moana Center is the largest and famous shopping mall in Honolulu, Hawaii. It is the 15th largest in USA and open air shopping center in the world. 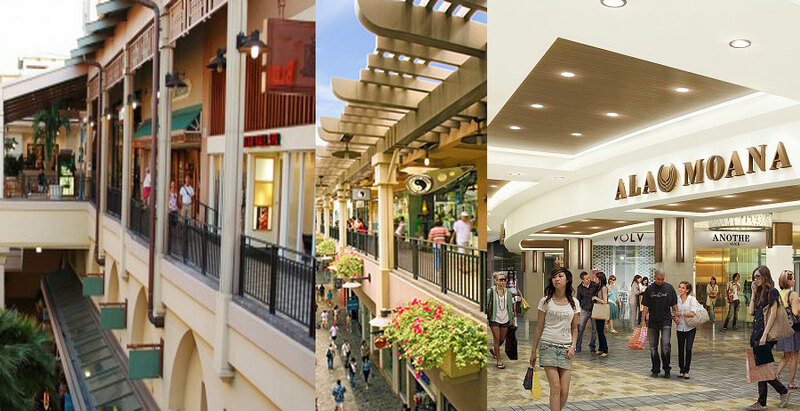 Ala Moana shopping mall is among the top ten ranked most successful malls in the USA. In 2009, it was ranked as America’s 2nd most profitable shopping mall by U.S. News and World Report. Ala Moana Center is part of the commercial, retail, and residential of Ala Moana and all over the world. It was developed and designed by Don Graham in 1959. The Aloha Tower is the lighthouse that is considered one of the landmarks in Honolulu, Hawaii. It was opened on September 11, 1926 with resume cost of $160,000. Aloha Tower is located at Pier 9 of Honolulu Harbor. 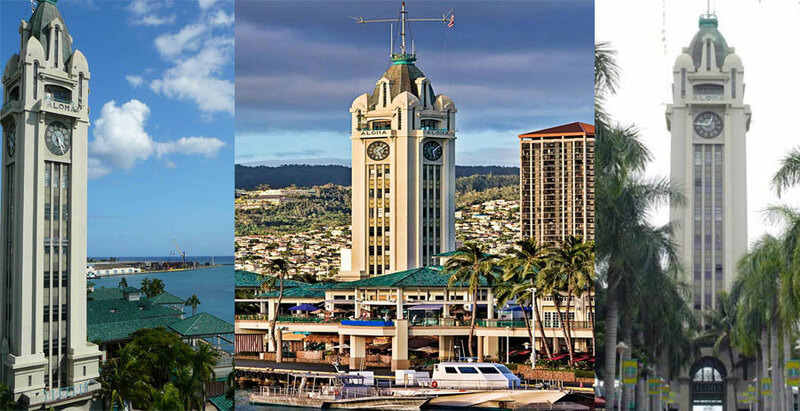 The design of Aloha Tower is architected by Arthur L. Reynolds. It have 10 stories and 184 feet (56 m) of height topped with 40 feet (12 m) of flag mast. The Aloha Tower was painted in camouflage to disappear at night. The Aloha Tower have greeting vessels to port at Honolulu Harbor. 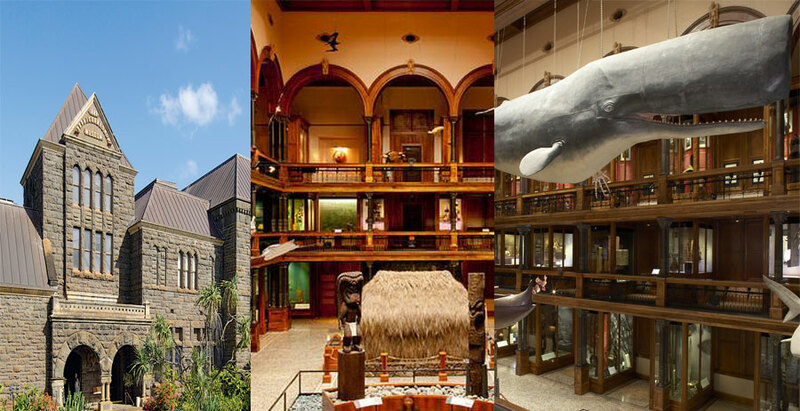 Bernice Pauahi Bishop Museum is a amazing museum of history and science located in 1525 Bernice Street, Honolulu, HI. Founded in 1889 and Architected by William F. Smith. It is the largest museum in Honolulu, Hawaii. The museum’s holds total natural history specimens exceeds 24 million, of which the entomological collection alone shows over 13.5 million specimens. The museum library has many kinds of books, periodicals, newspapers and special collections of Hawaii. Diamond Head is the name of a volcanic tuff cone located at Honolulu, Hawai. The Elevation of Diamond Head is 762 ft. Its English name was given by British sailors in the 19th century. Diamond Head is much younger than the main mass of the Koʻolau Mountain Range. 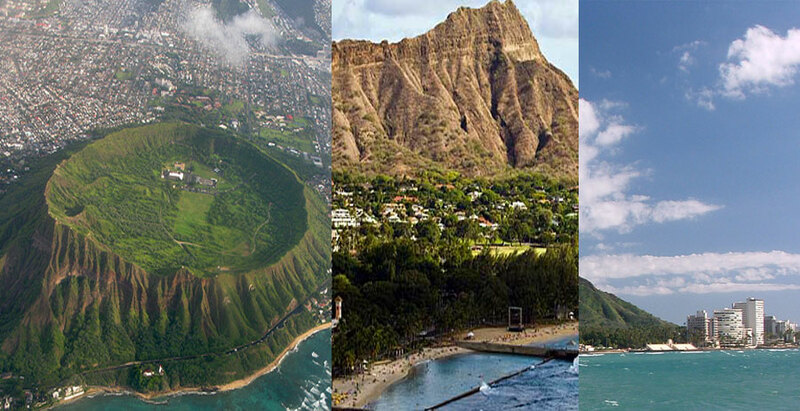 Diamond Head is estimated 200,000 years old and inactive for 150,000 years. It is defining feature of the view known to residents and tourists of Waikiki. 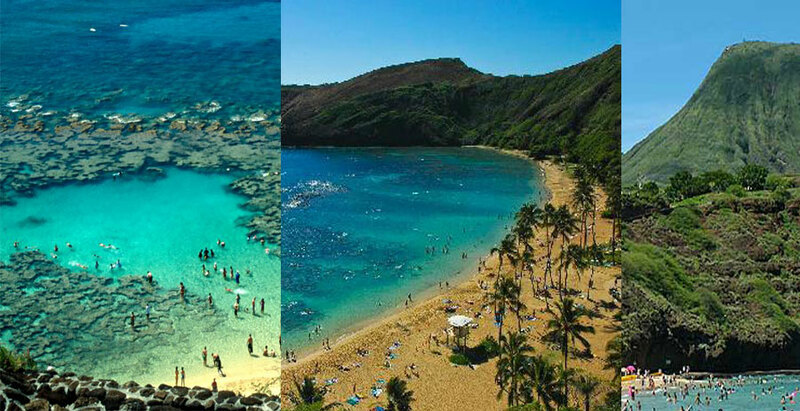 Hanauma Bay is a marine embayment formed within a tuff ring located at just east of Honolulu. It is the most popular and beautiful tourist destinations on the Island. Hanauma is both a Nature Preserve and a Marine Life Conservation District. About 400 species of fishes were found in Bay. Hanauma is a nursery ground for the immature turtles. 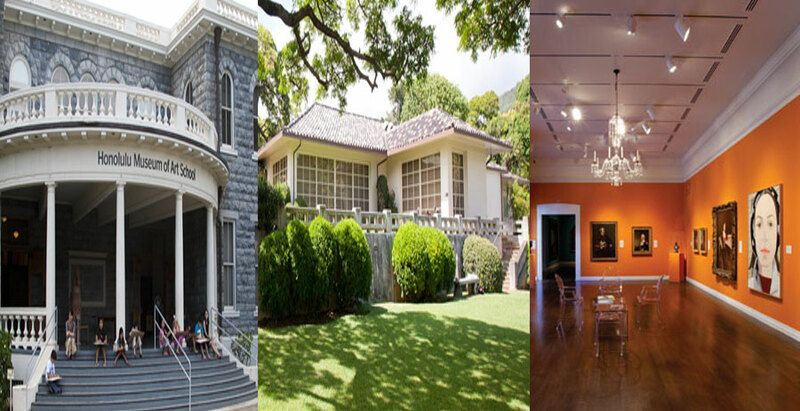 Honolulu Museum of Art is an art museum in Honolulu, Hawai. It is largest museum in the state, Founded by Anna Rice Cooke in 1992. The museum has one of the largest single collections of Asian and Pan Pacific art of USA. It presents international caliber special exhibitions features and collection like Hokusai, van Gogh, Gauguin, Monet, Picasso and Warhol. Honolulu Zoo is a 42 acre zoo located in Honolulu, Hawai. It was the largest zoo, Established by grants made by a sovereign monarch. 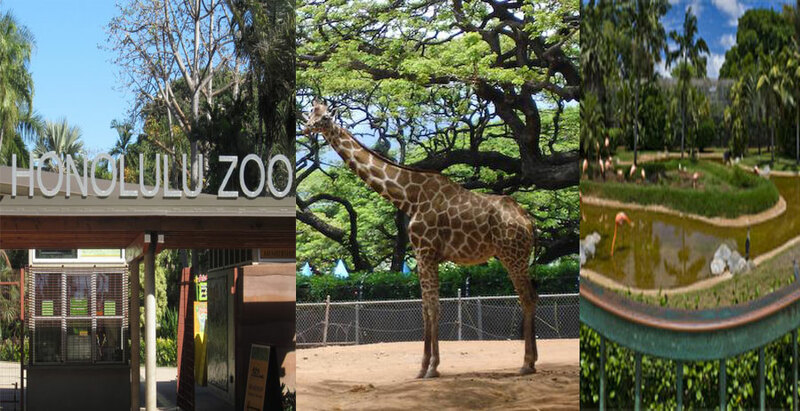 The Honolulu Zoo have 1,230 animals in specially designed habitats. About 601,510 people visit the zoo annually. The park became home for a monkey, a honey bear, lion cubs and birds. In 1974, It was accepted the transferring of a camel, an elephant, chimpanzees and deer. ʻIolani Palace is the only royal palace now a part of the United States. It was built in 1979, Used as an official residence and is now a National Historic Landmark listed on the National Register of Historic Places. 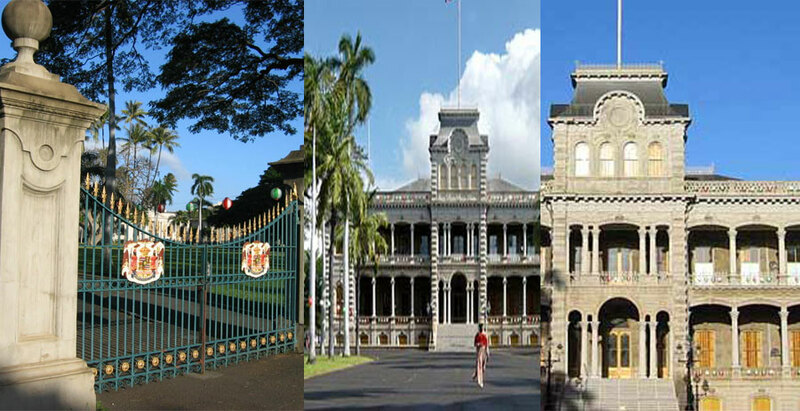 ʻIolani Palace covers 10.6 acres area, Designed and architected by Thomas J. Baker, Charles J. Wall and Isaac Moore. A movie titled Princess Kaiulani was filmed at the palace in 2008. USS Arizona Memorial is the resting place of 1,102 of the 1,177 sailors and marines which was killed during the Japanese surprise attack on Pearl Harbor on 7 December 1941. It was established in 30 May 1962, located at Pearl Harbor in Honolulu, Hawaii. 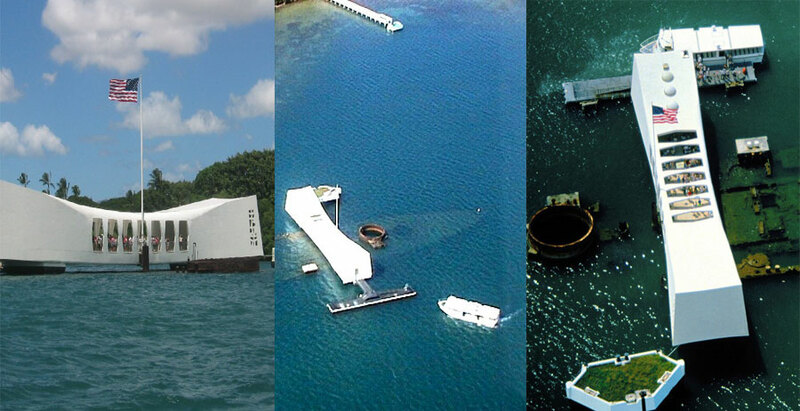 USS Arizona Memorial have 10.50 acres area and estimated budgeted at US$500,000. 1,556,808 people visits USS Arizona Memorial annually. The cause of visitor attraction to Honolulu is the beauty and eye sight view of Waikiki Aquarium & Beach. 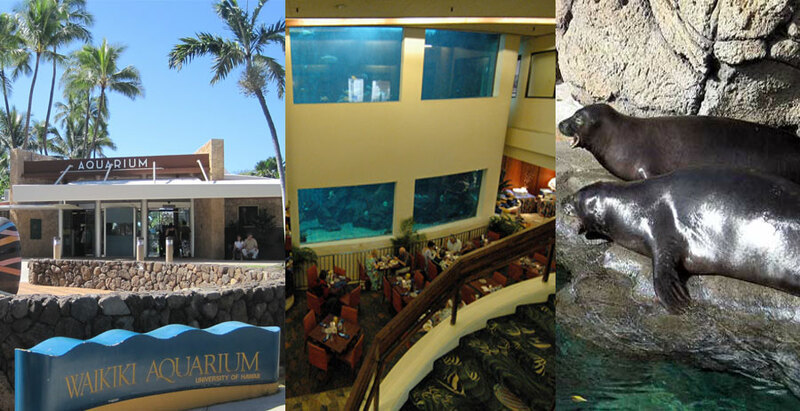 The Waikiki Aquarium is second oldest public aquarium located in Honolulu, Hawaii. It was founded in 1904, home of about 3,500 organisms of 490 species of marine plants and animals. Over 330,000 people visit annually and 30,000 schoolchildren participate in the Aquarium’s education activities and programs. Waikiki Beach is a beachfront neighborhood of Honolulu on the south side of the island of Oʻahu. The area of Waikiki Beach is 9 km2. Its climate is usually warm and cloud-free and have high rises and resort hotels.